While it makes sense to remove the cobwebs first, garage door maintenance should start with inspection rather than with cleaning. There is no point in caring for damaged and faulty components, right? The check should cover the most common types of damage. 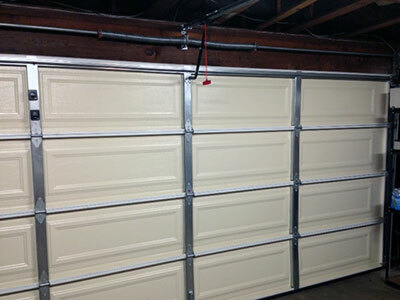 Deformed springs, frayed cables and twisted rollers should be replaced right away. If there are bent tracks and hinges, they should be fixed equally quickly. It is important to check the hardware parts of the opener system. If the chain or trolley is damaged or greatly worn, it will require immediate replacement. If the rail is not straight, it should be repaired and adjusted. It is best not to operate the door in case there is a seriously damaged, broken or faulty hardware part. The wireless keypad and the remote controls, in particular, require thorough cleaning. The cleaning product should be completely safe as well as potent. Ideally, it should be specially formulated for such devices. It is important for the casing, buttons, battery compartment and contacts to be thoroughly cleaned. Wiping the cover of the infrared unit with soft cloth should be sufficient for removing dust. Battery replacement is required only when the controls do not work very well to start the opening and closing of the door. If this does not improve their performance, they should be checked and repaired without delay. 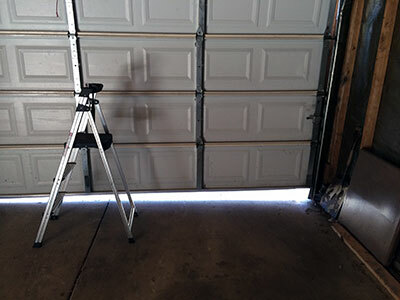 This is crucial since a faulty remote can cause the door to open immediately after closing and leave the garage without proper protection from thieves.